Amica Auto Insurance -- You May Want to Read This Before You Consider an Amica Policy | SuperMoney! Amica Mutual Insurance Company is a direct writer of insurance policies for auto, personal excess liability, marine, and homeowners coverage. 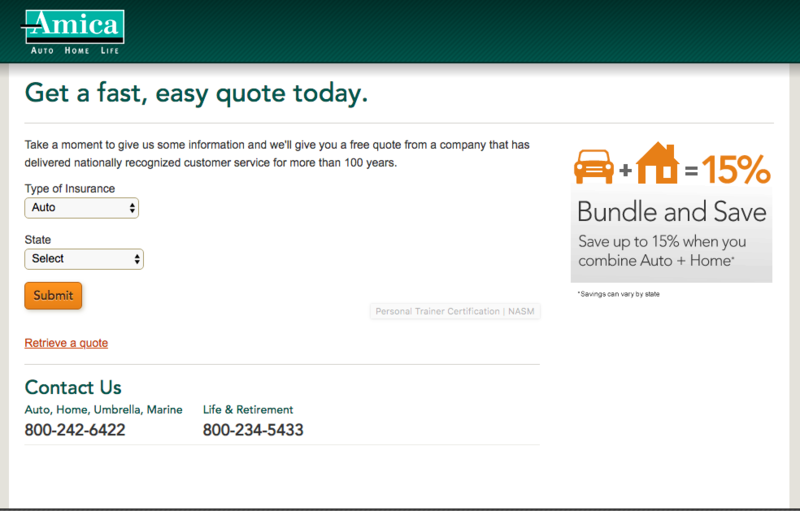 It is the oldest mutual insurer of autos in the U.S., with roots dating back to 1907! With that long a history, it is no surprise that Amica is known for its financial strength and high-quality customer service. But should you choose the long-standing company for your auto insurance? Find out in this in-depth review. Amica offers the following standard coverage types on its auto insurance policies. 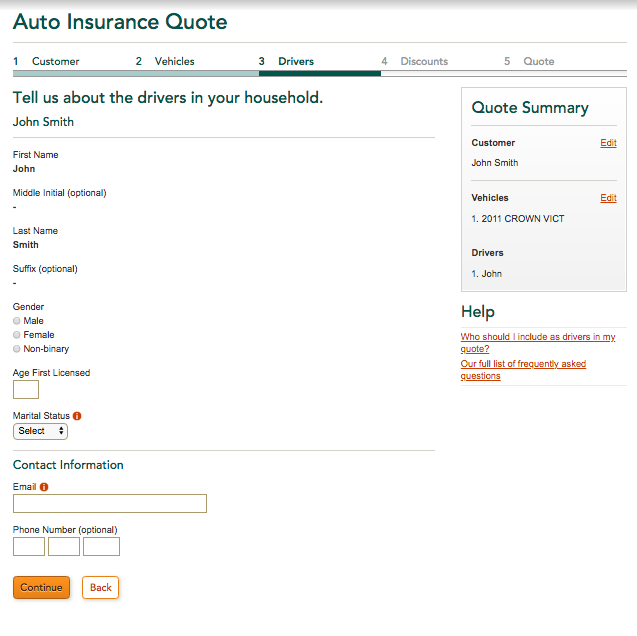 Read more about standard auto insurance coverage types. Roadside assistance: This coverage provides towing, tire change, jump start, fuel delivery, and unlock services with no out-of-pocket costs. Rental reimbursement: If your car needs repairs due to an accident, most policies cover $20 per day and up to $600 total for a rental car. Note, this will vary by state. Glass coverage: Comprehensive glass coverage will cover the cost to repair a damaged windshield or window, less a deductible. Additionally, Amica offers a Platinum Choice Auto package with the following extra coverage features in case you want to upgrade your policy. Advantage Points: Earn points by referring others to Amica, renewing your policy, or completing a year of good driving. Redeem the points to reduce your rates after a claim and deductible. Full glass coverage: Pay no deductible on glass repairs. Plus, get a lifetime guarantee if you have the repair done by one of Amica’s glass repair shops. Identity fraud monitoring: Amica will monitor your credit files 24/7 and will alert you of unusual activity within 24 hours. Prestige rental coverage: Get up to $5,000 toward a rental with no daily limit (when your car needs accident-related repairs). You can also add any of the above coverage types to your regular coverage plan a la carte. Keep in mind that coverage and availability can vary by state. Amica has no shortage of discounts. Below are the various ways to save on your policy. Multiple policies: Carry multiple policies with Amica to save up to 15%. Combine auto insurance with condo, renters, life, home, or umbrella policies. Anti-theft: Install anti-theft devices like a car alarm. Defensive driver: Take approved defensive driver courses. Loyalty: Stay with your Amica auto insurance policy for at least two years. Claim-free: Good driving pays. Save when you haven’t had any claims for the past three years (glass and towing excluded). Paid-in-full: Pay the entire policy premium before the due date on the first bill. AutoPay: Set up automatic payments from your bank account. E-discount: Receive all bills and policy information electronically. 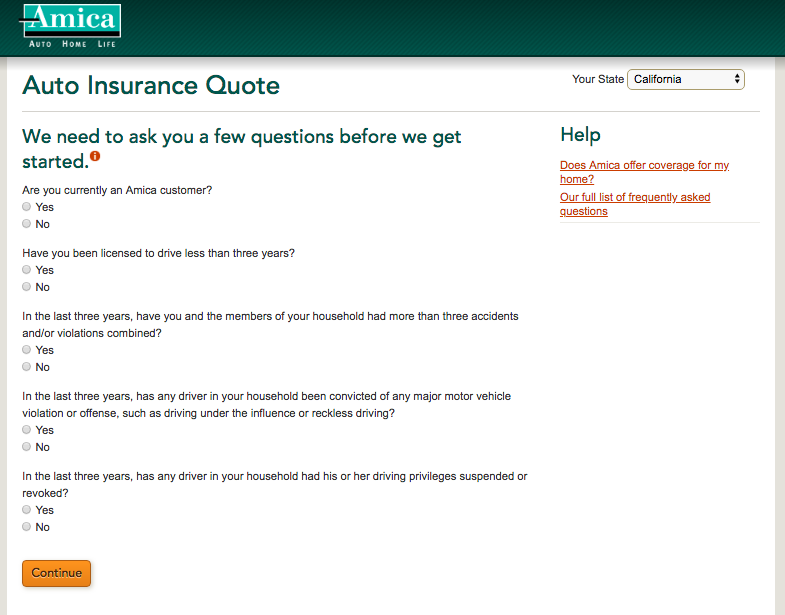 Legacy: Save if you are under 30 and your parents have had auto insurance through Amica for more than five years. Electronic stability: Insure a vehicle with the electronic stability feature. Forward-collision: Insure a vehicle with the collision-avoidance feature. Passive restraint: Insure a vehicle with automatic occupant restraints which prevent injury in an accident (e.g. airbags). Adaptive headlight: Insure a vehicle with headlights that make it easier to drive in low-light conditions. Driver training: Young drivers can complete an approved drivers training program to save. Good student: Highschool and college students between the ages of 15 and 25 can save by maintaining a B average. Student away at school: Save when your child is away at school full-time without a vehicle. When it comes to the available opportunities to save, Amica covers all the bases from policy and vehicle discounts to driver discounts. With Amica auto insurance, you can choose between a traditional policy and a dividend policy. Dividend policies often cost more up front but usually return anywhere from 5% to 20% of your annual premium amount. In the end, they often lower your overall cost. However, payments are not guaranteed and depend on multiple factors. When it’s time to get your money back, Amica can direct deposit the dividends into your bank account. It can then send you a check in the mail. Or apply the amount toward a future policy premium. Note dividend policies are not currently available in California, Florida, Hawaii, Texas, Massachusetts, Missouri, North Carolina, or New Jersey. What happens when you file a claim and need auto repairs? You can choose your own repair shop or can opt for one of Amica’s 1,200 certified repair shops across the U.S. The benefit of choosing a certified shop is that the repair work will be covered under warranty for as long as you own the car. Amica also offers a similar program for glass repairs when you opt for one of its member shops. Amica offers an online program to help you find a certified shop near you. If you need to file a claim, you can do so over the phone, via Amica’s mobile app, or through the Claims Center online. After filing your claim, a claims representative will be assigned to your case. He or she will review your policy and explain your deductible. You will need to submit official reports from the incident, contact information for those involved, and photographs of the damages. The claims representative will evaluate the situation, determine fault, and analyze liability and negligence. Next, they will investigate injuries. If an appraisal is needed, it will be scheduled. The appraiser will work with the repair facility you choose. Once settled, your car will be repaired, you will pay your deductible, and Amica will issue the payment amount. Free repair of damaged auto glass when a replacement is not needed. Free repair of an airbag after deployment. Replacement of locks when keys are lost at no cost. If you have a complete loss on a new vehicle within the first year, there will be no depreciation factored into your settlement. Sound interesting? You can find out how much Amica will cost you online. 1. The first step will ask you to select the type of insurance you want and your state. 2. Next, answer some questions about your driving history. The quote will be solely based on your answers, Amica doesn’t cross-check them at this stage, so the more honest you are, the more accurate your quote will be. 3. 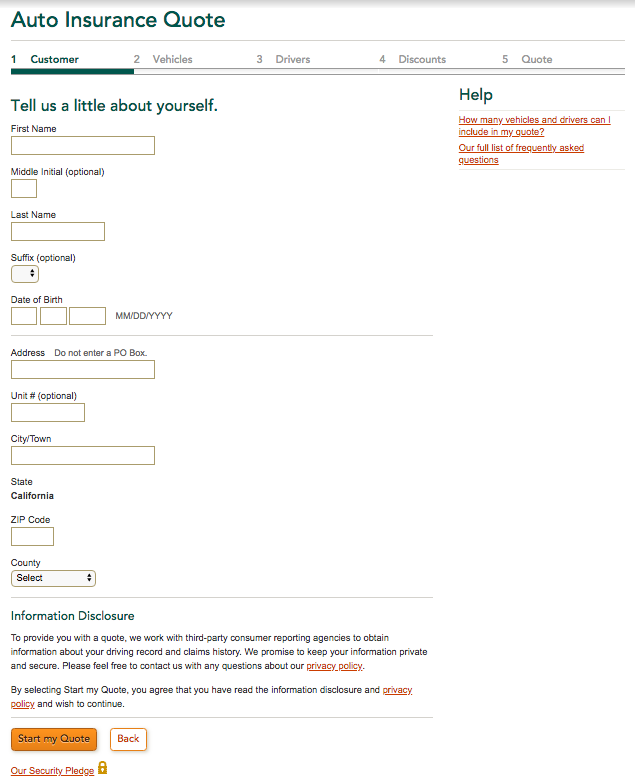 Now, you’ll share your personal information including your name, address, birthdate, etc. 4. 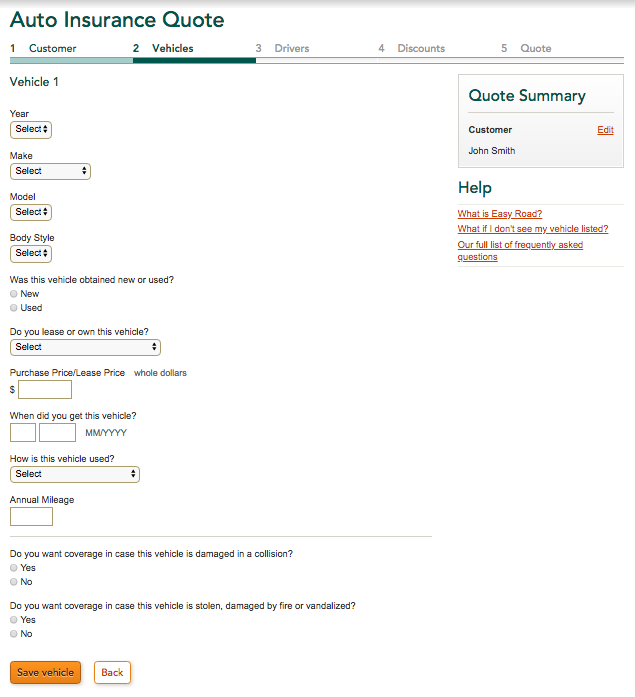 Then, add the vehicle(s) you want to insure. 5. 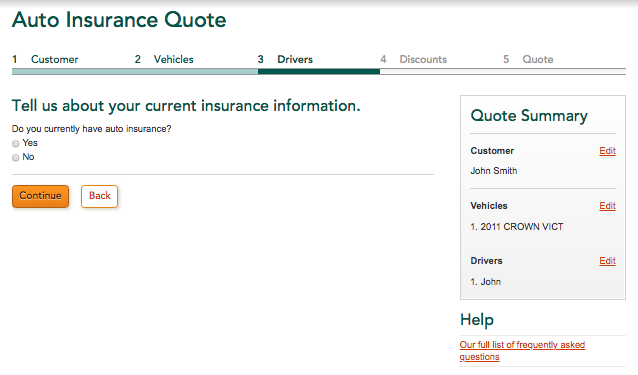 Next, add any drivers that you want on the policy and share about your current insurance setup. 6. Lastly, review the discounts and get your quote. After this step, you will either receive your quote or will be asked to call a number to finish up the quote. Is Amica auto insurance right for you? Amica has a very competitive auto insurance offering. The company has a long history in the auto insurance industry and a strong reputation for its offering and service. Further, although the company has been around for a long time, it is up-to-date in terms of its tech development. The website, online account management, and mobile app make it easy to manage your policy and any claims that might occur. A wide range of coverage options. A long list of discounts. May not offer you the lowest cost. Amica does try to upsell customers during the quote process so it’s important to read the print carefully. 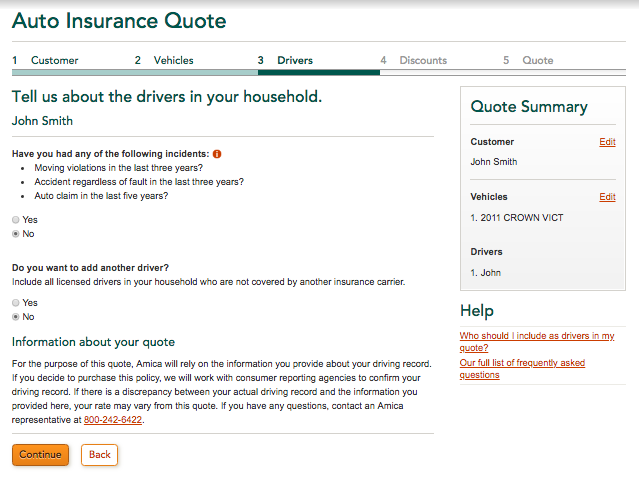 When shopping for auto insurance, we recommend you get a quote from Amica but don’t sign up for a policy without shopping around. Check with at least three insurers first to increase your chances of getting the best value. 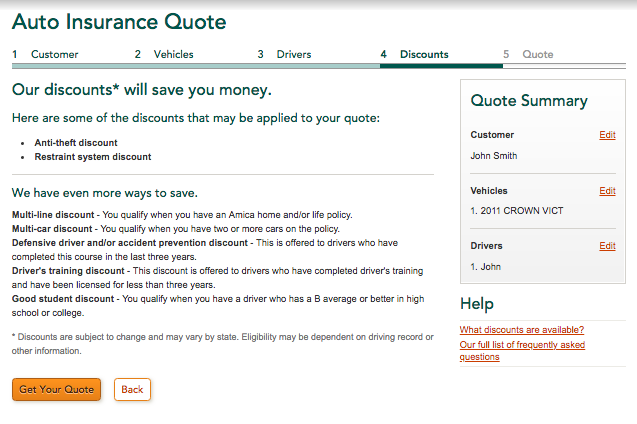 Review and compare auto insurance companies below.